G-CAS! Sew Excited! : The Wardrobe Challenge is over and I got Clothes! 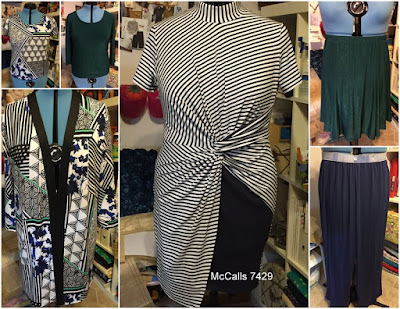 August Was Wardrobe Challenge Month! I created all the views with some modifications. I added 8 inches to the cardigan and I call it my cardicoat! (LOL!) I did make the pants however, they belong to another outfit post. 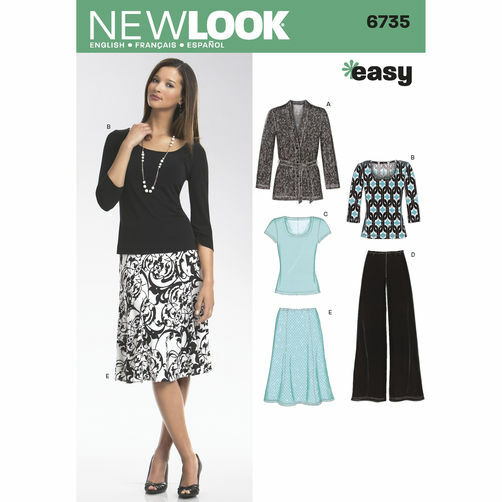 The pants I did include are Simplicity 2148 and work just fine. I thought the wide leg was not what I wanted for my "business casual" wardrobe. I also included a dress with my wardrobe as well. Why not!? So here are my separate pieces! I did all the pieces and a dress! Woot! Woot! Mix and Match till you fall out! I'm always loving a challenge. This one I actually finished and didn't have to rush! I'm getting better! LOL!! If you haven't already, you need to. Quick Fast and in a Hurry! 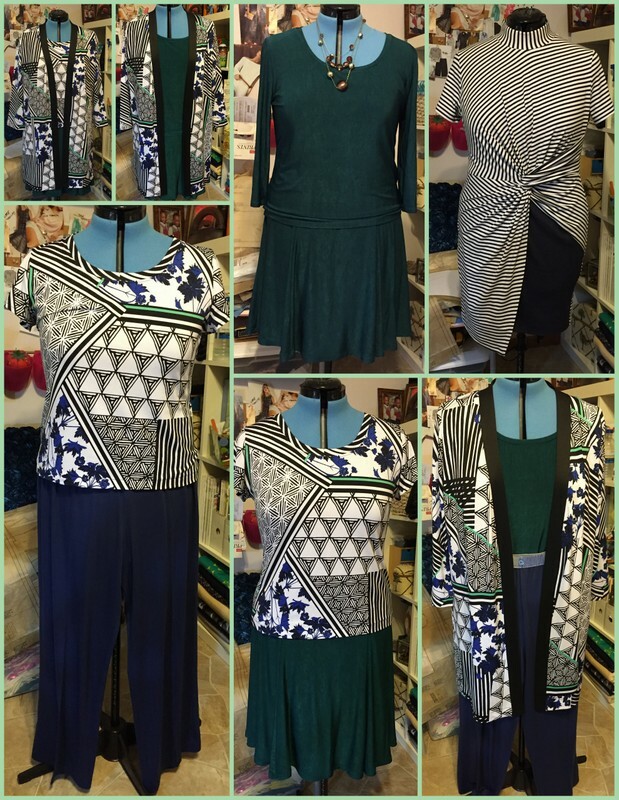 Classic pieces with a touch of fearlessness( prints), a sprinkle of modern and lots of fabulousness. Thanks Mariela! Sewing is my therapy so I try to let the fabric and machine show what I feel. 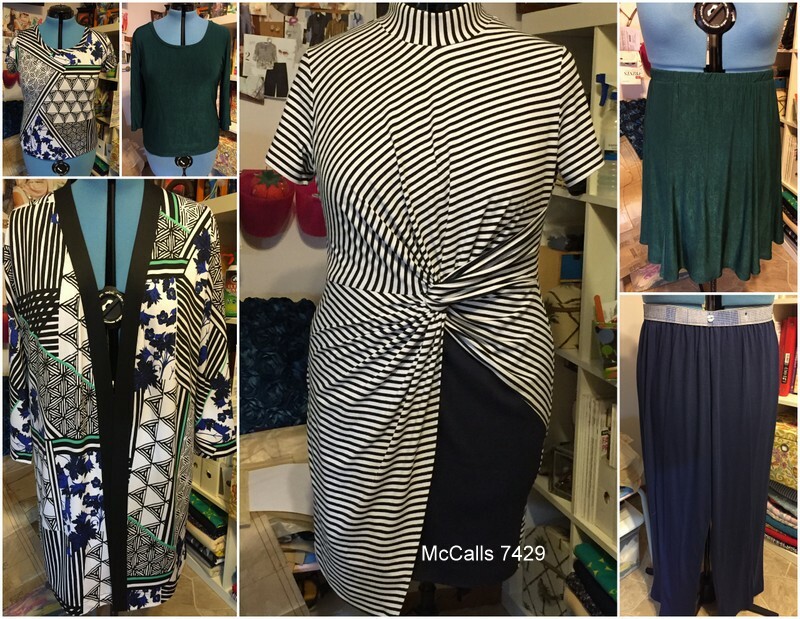 Thank you for your wonderful contribution to the Pericrafter's Wardrobe Builder's Challenge. Although I did not participate, I took plenty of good notes for future reference. Your new wardrobe is gorgeous and certainly not "Worthington Wear". It is more "Casual Couture" in my opinion! My pinking shears are oiled and cleaned, and so are my sergers and main sewing machine. Thank you so much for ALL of your tips!!! Thanks Ms. Faye for the kudos! I love to share and it's great to know someone actually listens! LOL! All of these turned out beautiful. It seems you really scored with this challenge. Thanks Andrea! I actually finished something! I love the black 'n white striped top and the cardicoat though all of the pieces go together so well! This is a fantastic use of a pattern!!! Why Thank you Carolyn!! It was fun to do and I actually finished some clothes without procrastination!! I'm so glad! All of your pieces are beautiful. I love love love the dress. That black and white stripped and black combination is amazing. Thanks so much! I'll be wearing the twin set soon!! Great wardrobe pieces Ms. Carol! You striped dress is a "show stopper" for sure! Thanks Myra!! Your's is great as well! You are the reason I am making another!! I must say I was pleasantly surprised by this New Look pattern. So beautiful, Carol! Your pieces are all so nice. Thanks Amy!! Glad you enjoyed it and I'll be waiting for my pics!! LOL! !